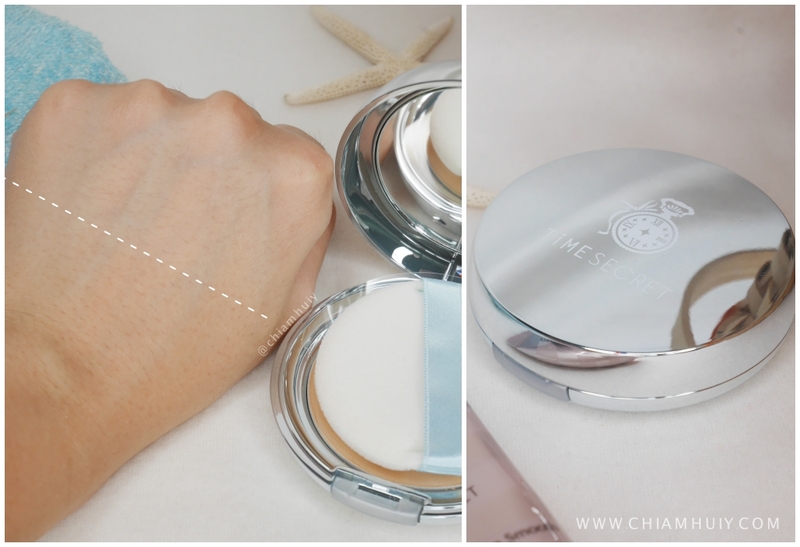 The Time Secret Mineral Base Extra Smooth Matte SPF 23 PA+++ ($24.90) spreads across like a lighter version of mousse texture. But upon thorough application, it simply spreads seamlessly and feels like a velvety smooth finishing. This 3D Lift up gel brightens the skin and absorbs sebum, which helps to keep your makeup in place. 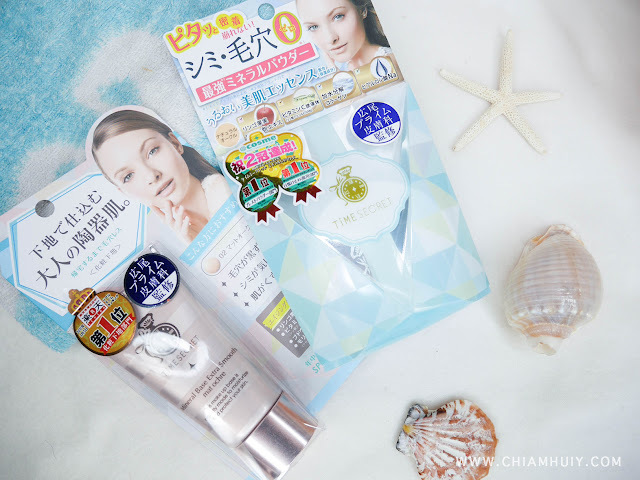 Having said that, it also helps to smoothen out wrinkles and pores for a flawless finish. Ingredients like Apple Fruits Cell Culture Extracts, Vitamin C Derivative, Grape Cell Extracts and Moringa seed oil are also anti-aging ingredients for ageing care purposes. 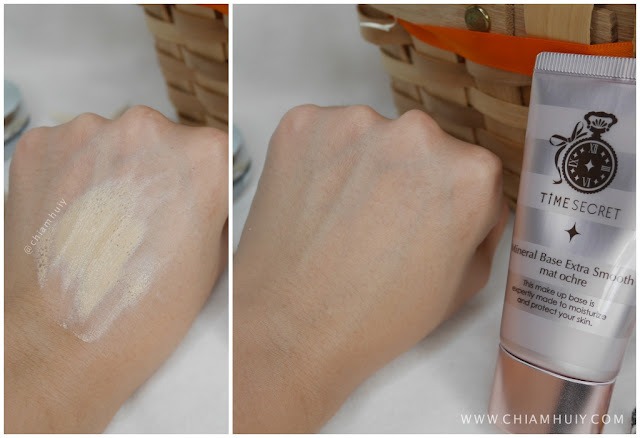 Time Secret Mineral Base Extra Smooth Matte SPF 23 PA+++ comes in two colors - Matt Pink and Matt Ochre. 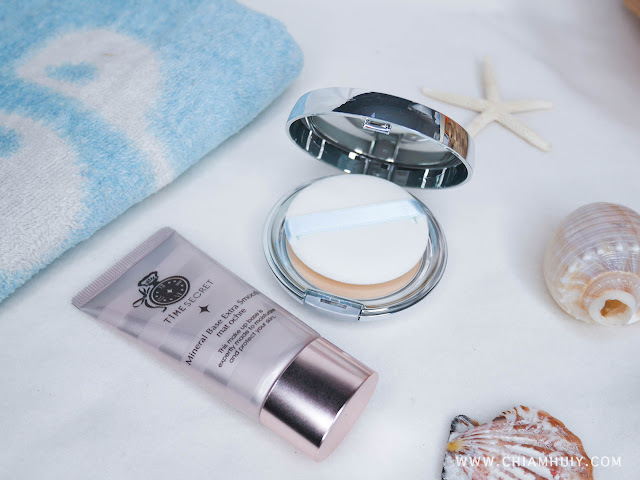 Moving on, we have a look at Time Secret Mineral UV Pressed Powder Light SPF50+ PA++++. The first thing that came to my mind is the high enough sun protection properties that come with it. 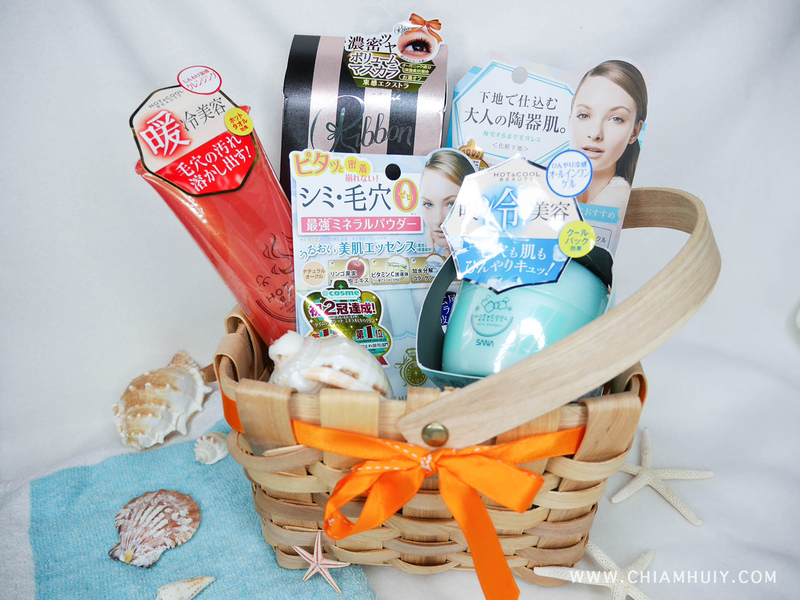 We all love multi-purpose products, let's not deny it! Hehehe. I love how this pressed powder can provide me touch up efficacy while replenishing my sun protection properties, don't you agree? This pressed powder can also moisturise your skin with again ingredients like Apple Fruits Cell Culture Extracts, Vitamin C Derivative, Hydrolyzed Collagen and Hyaluronate Sodium. I have the product in Natural Ochre and I still find the coverage very light. It's definitely not enough for a full coverage. To me, I would use this as a touch up in the middle of the day to mattify my oily skin. But if I'm heading for an event after my work, I'll definitely need a higher coverage cosmetic like a BB Cushion. 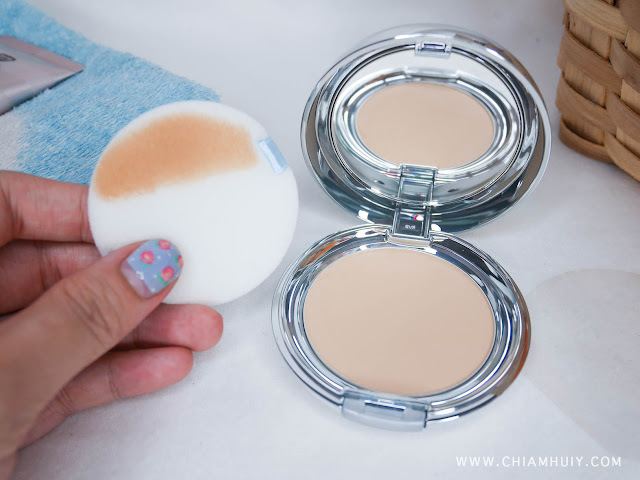 The pressed powder comes with a soft sponge and mirror. Find Time secret pressed powder and mineral base @ Sasa Singapore and bhg bugis!